i'm Blathering Now... (Tea, Tom & No Time to Blog! 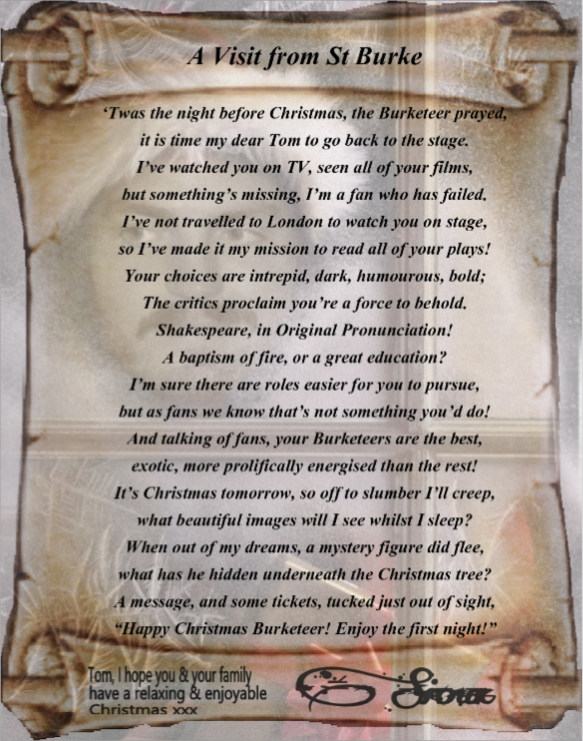 ): Poetic Christmas Greetings Tom! 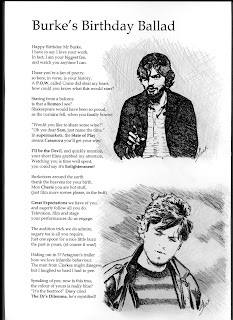 So when it was Tom Burke's birthday, his fans got together to make a birthday book and posted messages in it. 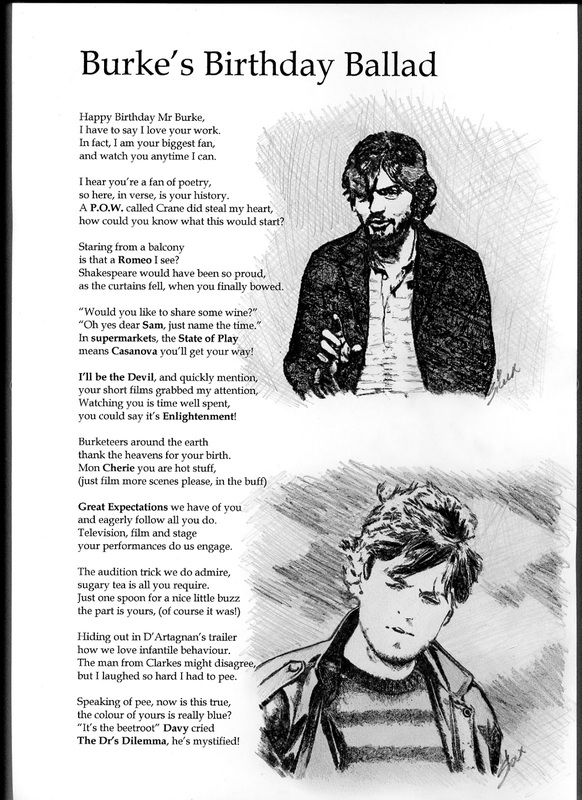 Don't think I've written about that on here, so this is the poem I wrote and illustrated for his birthday. 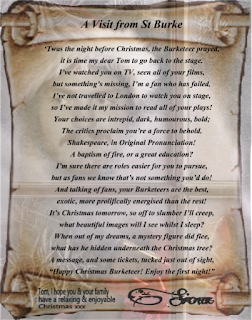 The idea was so successful that we're now doing a Christmas one, and the deadline for it was set at 30th October. 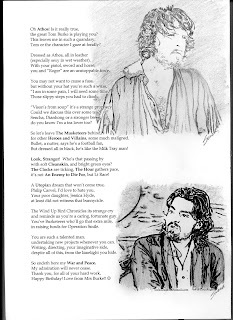 I can't even begin to think of Christmas until after Bonfire Night, but never mind, I have done my best, and because I'm not one to do anything by halves, I have glammed the poem up by putting the poem on a scroll, with a faint picture of Tom dressed up as Santa Clause in the background. 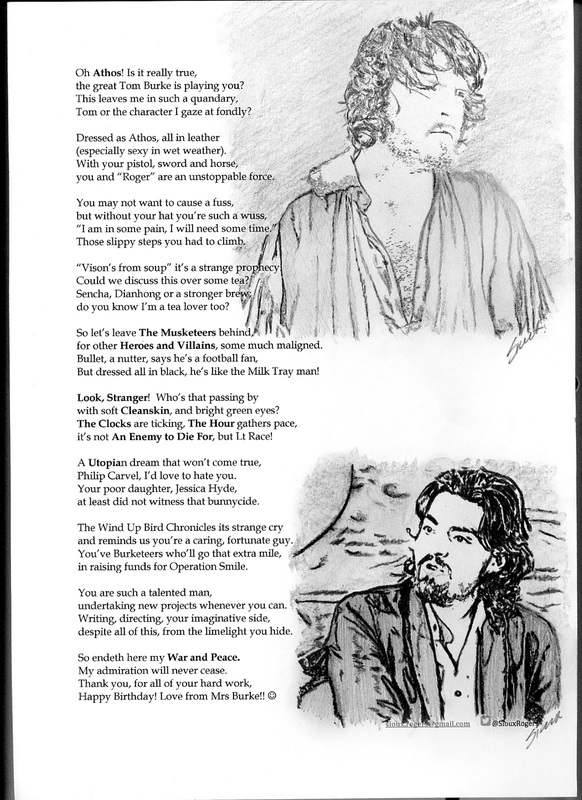 Sadly I left everything until close to the last minute, so there was no time to illustrate it by my own fair hand, but on a positive note I have learnt how to use Photoshop...sort of!! !